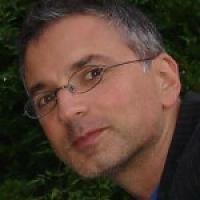 Dr Emmanuel A Stamatakis is pleased to consider applications from prospective PhD students. Motor system connectivity in healthy controls and brain injured patients. Green lines - positive interactions. Red lines - negative interactions. Solid lines - significant cluster level with p < 0.05 corrected for multiple comparisons. Dotted lines - significant at voxel level with p < 0.001 uncorrected. Neurology. 2010 Jul 13;75(2):168-76. Chennu S, Stamatakis EA, Menon DK (2016), “The see-saw brain: recovering consciousness after brain injury” Lancet Neurol S1474-4422(16)30027-8.